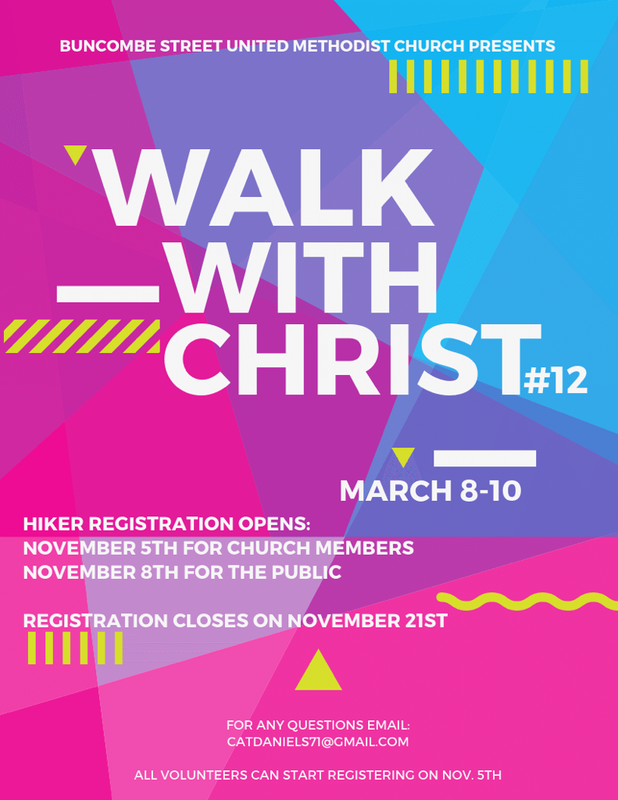 Walk With Christ is one of our most highly anticipated events of the year! This two-day, onsite spiritual retreat is student-led. Every aspect is decided by the students. You will learn about how God is working inside your peers and discover how He can impact your life. Walk With Christ is an unforgettable experience that is not to be missed! Registration for BSUMC members opens November 5. Registration opens to the public on November 8. All registration closes on November 21. Please note that there is a MANDATORY parent meeting on Sunday, February 3, at 4:00 PM in the Youth Hall. All hikers must have at least one parent attend. MANDATORY Volunteer and Small Group Training is tentatively scheduled for Sunday, February 10, or Sunday, March 3, from 11:00 AM – 1:00 PM on the Youth Hall. If you’re interested in volunteering, sign up here. For more information, contact Catherine Daniels.